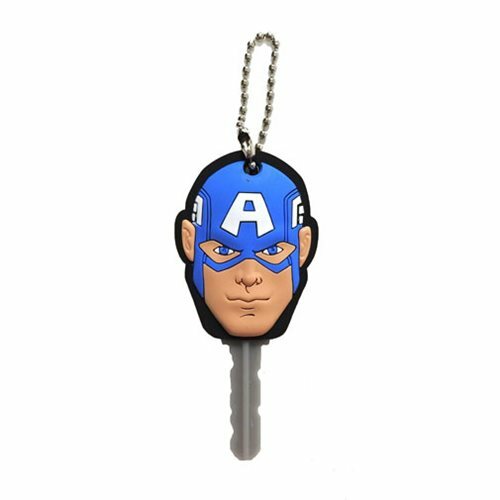 Enlist America's hero and help protect your key by covering it with Captain America Soft Touch Key Cover! Connected to a chain, attaching your key to a key ring will be a breeze. Ages 4 and up.